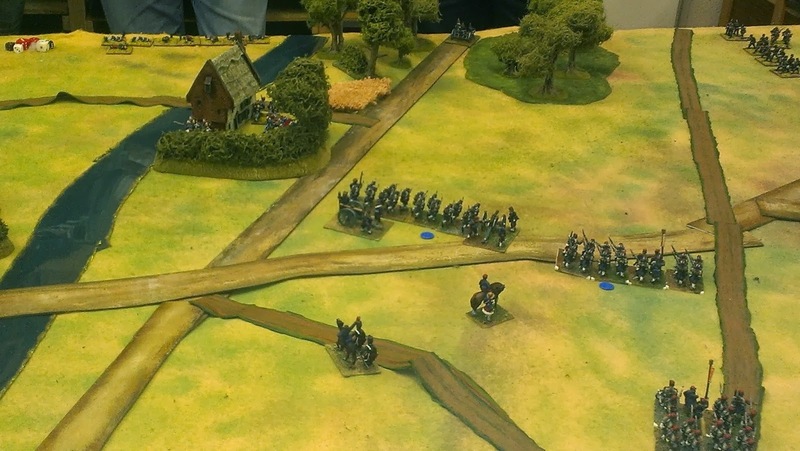 Last week Nigel staged another FPW game, this time with a slight change to the game's turn sequence. Instead of moving THEN firing, the sequence was changed so it went Initiative moves, firing, commanded movement, combat. 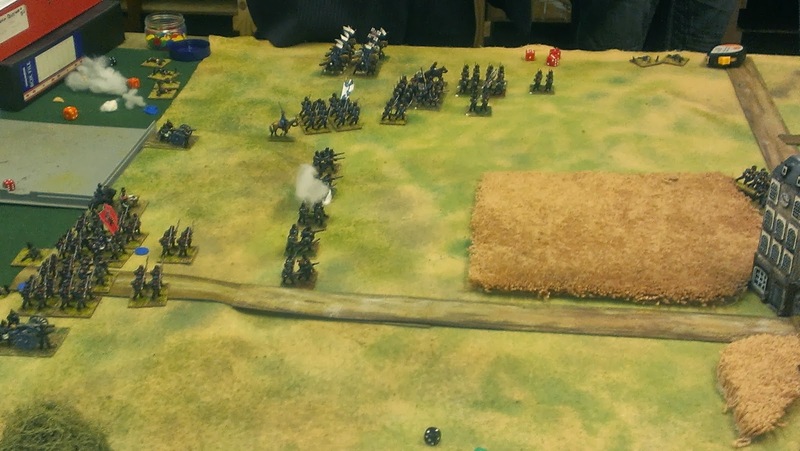 I have to say that it did work quite well. 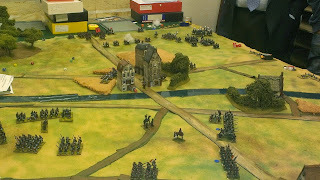 Anyway, the French were deployed in the middle of the table holding a river line. 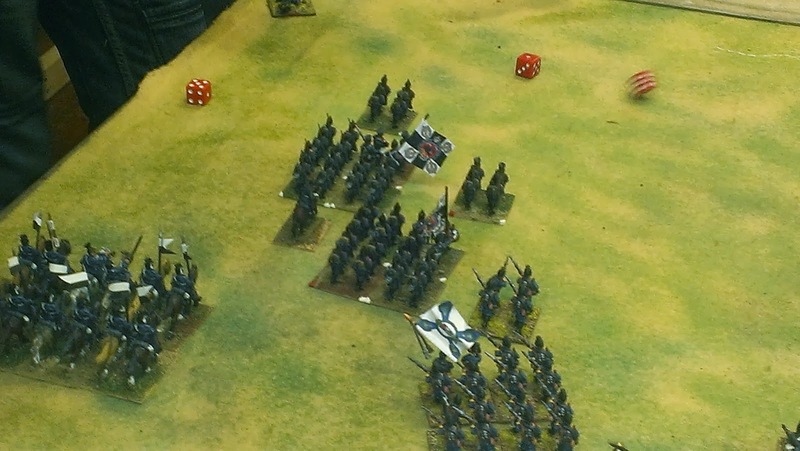 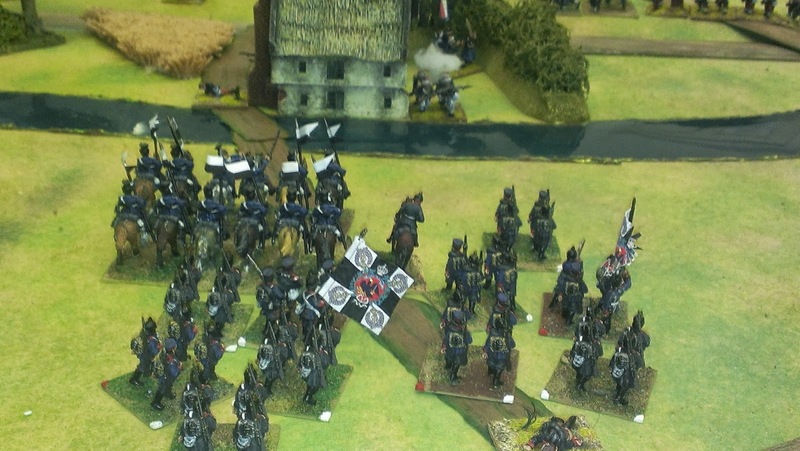 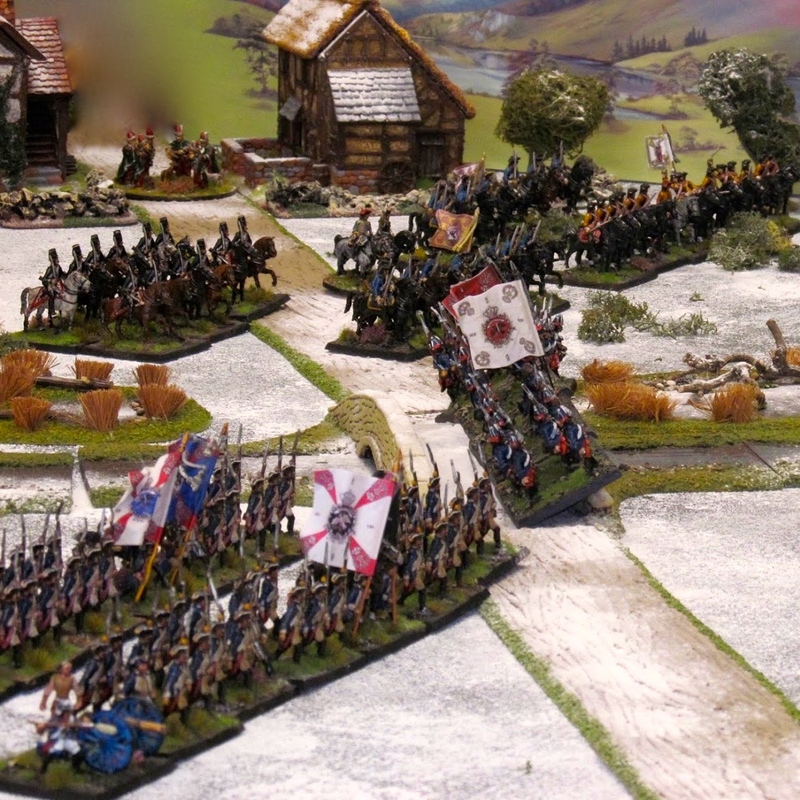 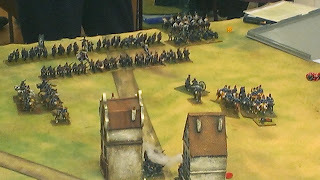 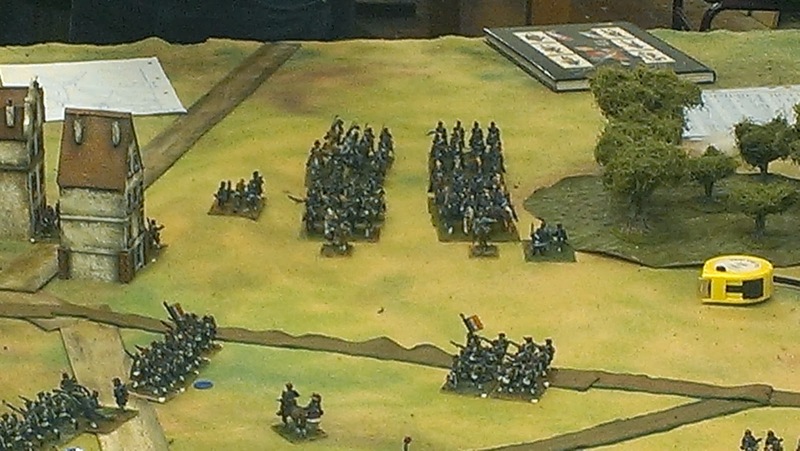 The Prussians and their allies would be entering the table to their front and also their right flank and rear! 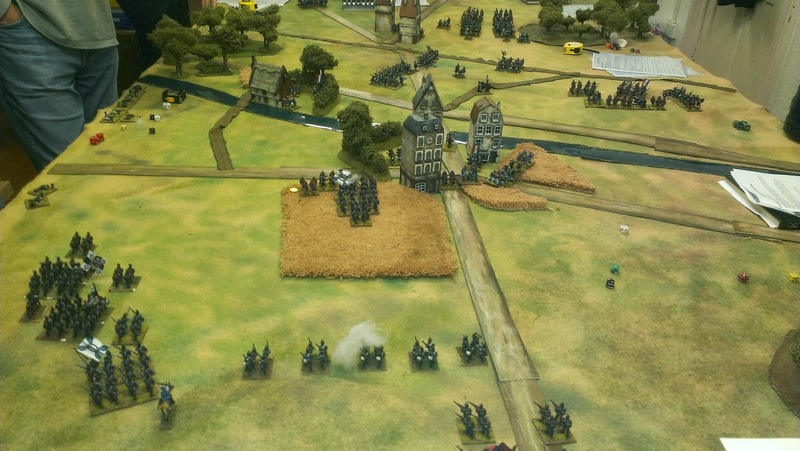 The Bavarians and other South Germans were deliberately slow to enter the table as we were in no hurry to be chassepot fodder. They then made a sweeping left hook attack on the French brigade holding the village, but did suffer from some long range chassepot fire. 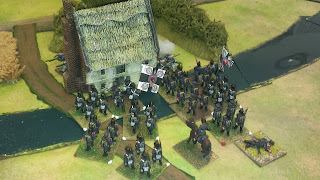 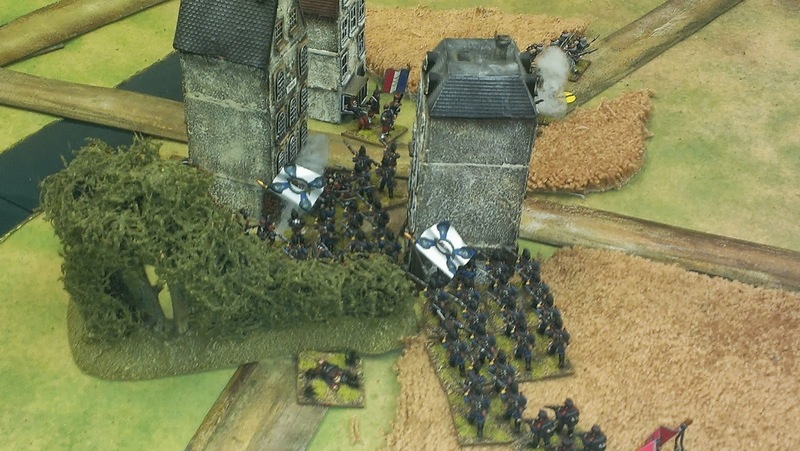 In turn the Prussian artillery gave the French in the cornfields outside the village a damned good pasting. 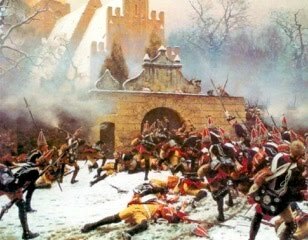 The Bavarians attacked the village, driving off one French regiment covering its flank in the cornfields before assaulting the village itself. 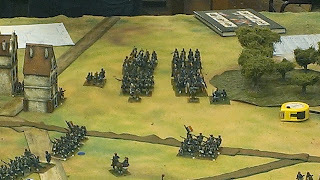 They won the melee but were unable to dislodge the defenders. 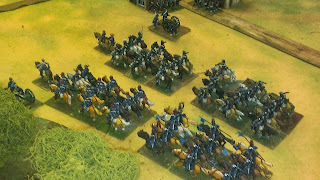 Perhaps next turn? 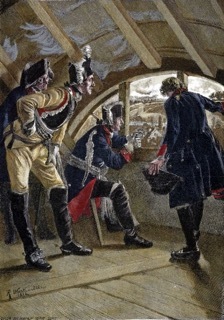 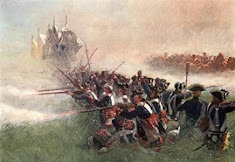 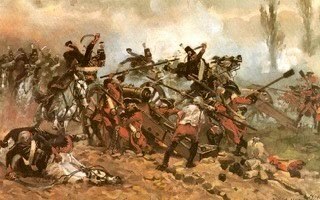 Meanwhile the Wurtemburgers were trading long range shots with the French left (essentially offering themselves as targets to prevent the Bavarians or the artillery from being shot up) and a Prussian brigade which had bypassed the main village failed miserably in an assault across the river, being thrown back in disorder. Meanwhile, lots of Prussians and Badeners had arrived on the French right but were held up by French musketry. 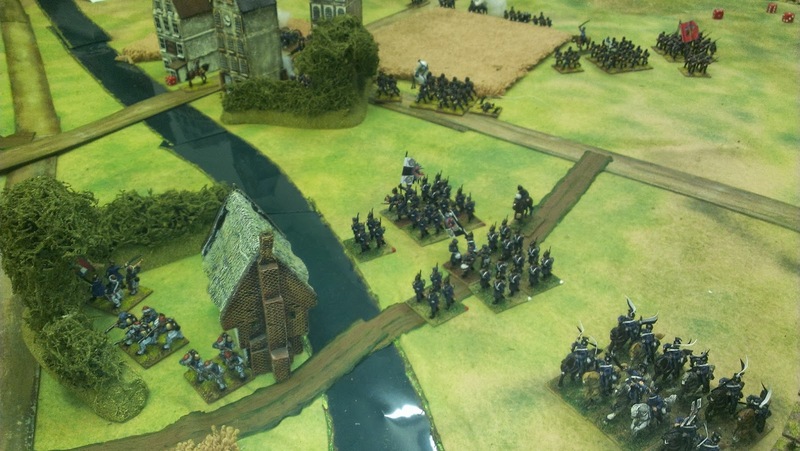 Conrad charged with one of his cavalry regiments and drove off some Prussian dragoons and did the same with some Prussian hussars who had entered the table to the French rear. 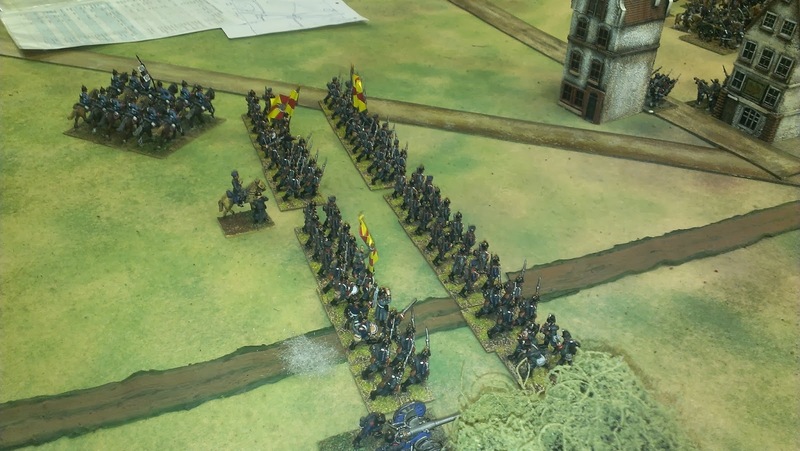 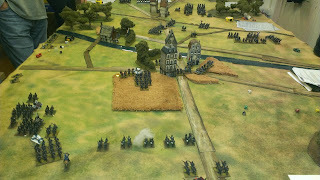 However, the next move more Prussians appeared in the French rear, leaving them facing enemies on three fronts! Not nice. 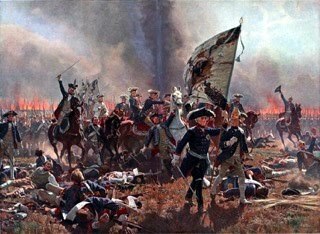 We stopped there, and the game will reach its thrilling climax next Thursday.